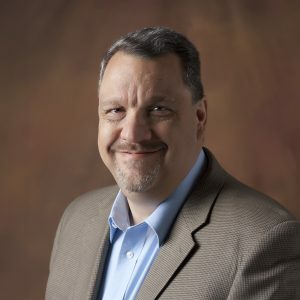 Dr. Joseph Buchanan currently serves as Senior Pastor of Metropolis First Baptist Church in Illinois and as an Assistant Professor in the School of Divinity of Liberty University. He has been married to his wife Grace for over 20 years and they have two children — Matthew and Sara. Dr. Buchanan's hobbies include fishing, reading and listening to the Beatles. I am inspired to write for two reasons. First, I love sharing what I am learning from the Bible with other people and writing gives me an opportunity to reach a larger audience. Second, writing provides a way for me to lose myself in the act of thinking. I begin every writing project by developing a basic idea of what I want to write about and developing an outline. Because I typically write about Biblical topics, I start with the Bible and then work out an outline. This outline provides the structure I need to keep me on track but gives me enough flexibility to change as I go. My advice to writers is to structure time everyday for writing. Even when I don't feel inspired, I still try to sit down and write something everyday. This discipline has made me more productive and I often find new ideas popping up in the middle of a session. Several years ago I took a sabbatical from preaching and started studying the Beatitudes. The more I studied them, the more profoundly I was challenged by their teaching. Obviously, as a Pastor I decided to turn what I was learning into a sermon series. But I truly believed that what I was learning was something that needed a larger audience. That is why I decided to publish my first book "Cultivating a Gospel-Shaped Attitude." I believe that more and more authors are going to turn to self-publishing. The process and costs are so low that it is becoming a no-brainer.